Ganesh Gangadin being removed from the stage by the police. 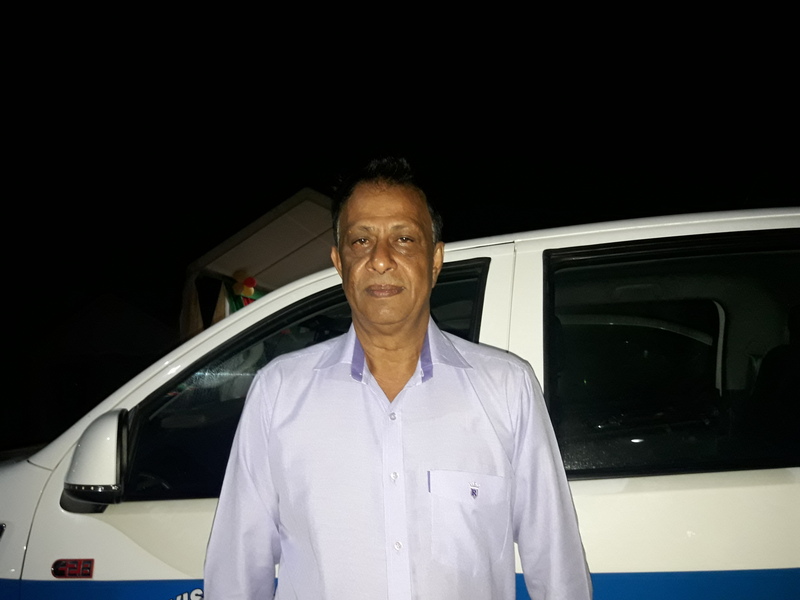 `B’ Division policemen last evening blocked the Corriverton municipality’s flag raising ceremony because permission had not been sought but Mayor Krishnand Jaichand believes it was stopped because the town council objected to Minister of Public Security, Khemraj Ramjattan as the featured speaker. 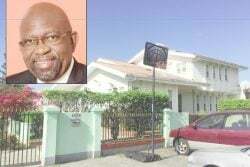 Jaichand told Stabroek News last night that permission had never been needed in the past from the police for the flag-raising and he related that Minister of Social Protection, Amna Ally had earlier pressed him to have Ramjattan be the speaker but that the council had vetoed that request. The Mayor and others at the event last night lamented the police action under Commander Lyndon Alves. 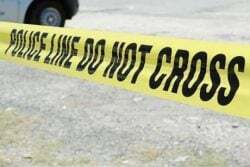 Stabroek News was told that yesterday afternoon the police took away the Guyana flag which was expected to be raised at midnight, instructed the music persons to not play music and told officials that anyone who held a microphone to speak would be placed under arrest and taken to the New Amsterdam Police Station. 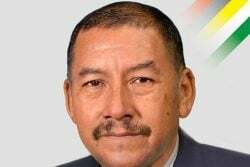 Jaichand explained last evening to Stabroek News that initially the Minister of Communities, Ronald Bulkan was invited to attend the programme. 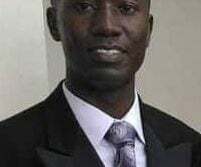 However, after the minister did not respond to the council’s invitation, the council decided to then invite Region Six, PPP/C Member of Parliament, Adrian Anamayah. 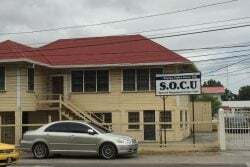 The Mayor relayed that some four days ago, Regional Executive Officer, Kim Stephens contacted him and insisted that Minister Ramjattan would be present and “he should be the guest speaker”. 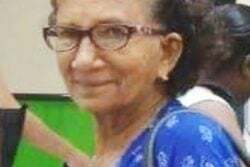 Jaichand added, that the Minister of Communities also contacted him and spoke with him in a very professional manner asking for him to “reach back the council and persuade them” to allow Ramjattan to speak last. Jaichand said subsequently Minister Ally phoned him to indicate that “this was a government thing”. 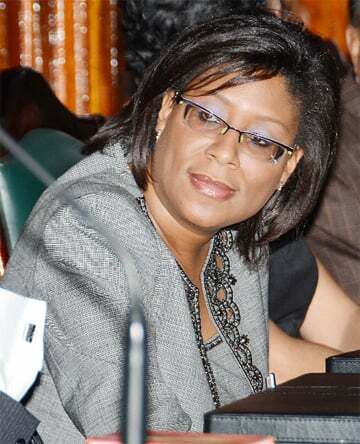 He added that the minister said she was responsible “to let the ministers in the various regions to speak and she had allocated Minister Ramjattan to speak at Corriverton”. “I called her back in twenty minutes after I spoke with the council and told her that their (the council) decision remains the same”. He said, “Her words to me were then, she have already called the commander instructing him for tonight’s programme to not materialise”. Minister Ally could not be contacted last night for comment. 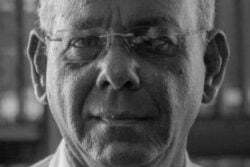 Jaichand said that for years the council has never sought permission for the programme, since the police would always be a part of the march and then later the hoisting of the Guyana flag. “Up to last year the police were part of it we notify them, they come and do the march pass along with the fire service” and others. Police yesterday showed up at Republic Square, Corriverton in several groups checking out the location. Around 4 pm, the police instructed the persons responsible for the music to not play, which they complied with. According to reports the police seized the Guyana flag in order to block the programme for going on. 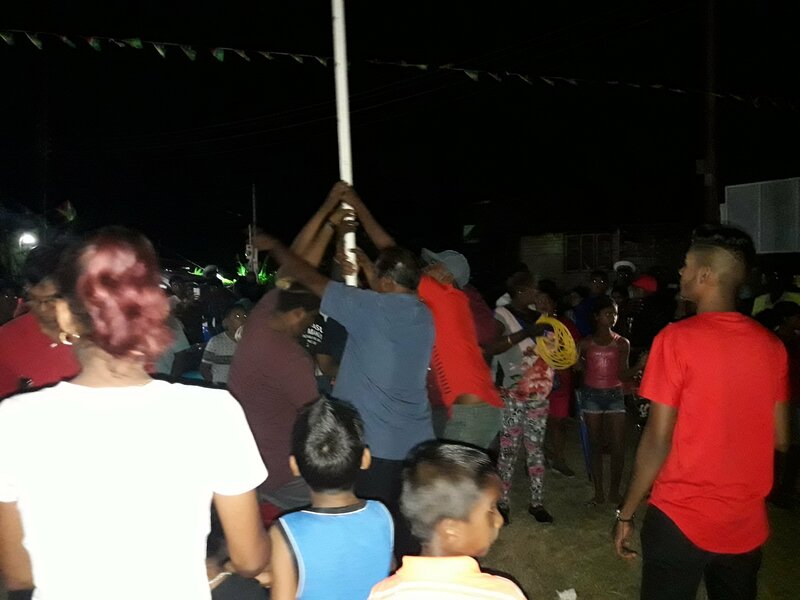 Persons gathered last evening were frustrated, annoyed and confused after the police showed up in their numbers to ensure that no programme was held. 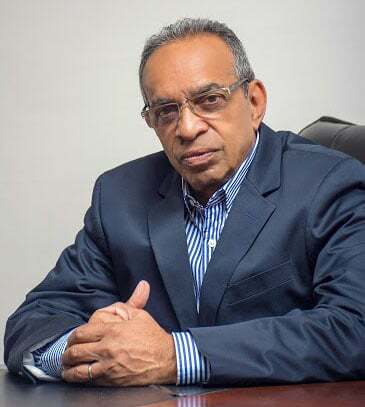 Stabroek News around 7.45 pm contacted Commander of B Division, Alves, who denied that he was instructed by a minister to block any programme. He also denied giving instructions to the police to stop any programme. However, Alves relayed, that the police’s permission was not sought nor was he informed that a programme would be held in that area. 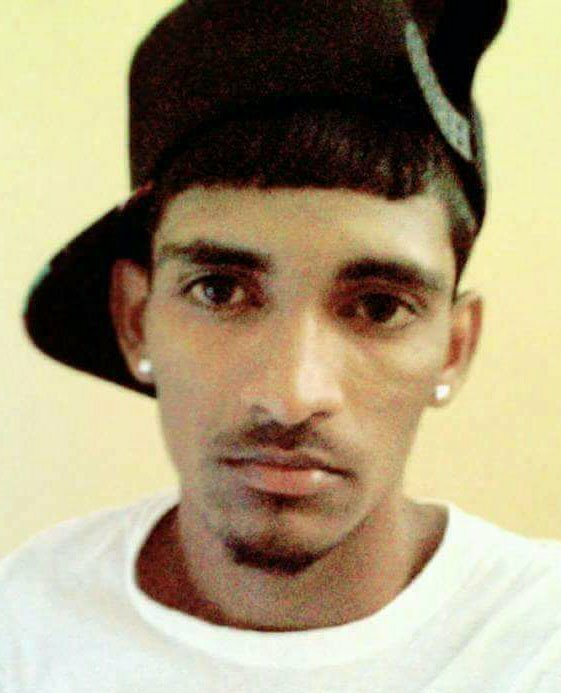 Stabroek News told him that the Mayor had said that it was the norm for no written permission to be sought. However, the commander said that he was not aware of this. This newspaper then questioned why the flag was taken away. Alves stressed that he would never stop the Guyana flag from being raised. 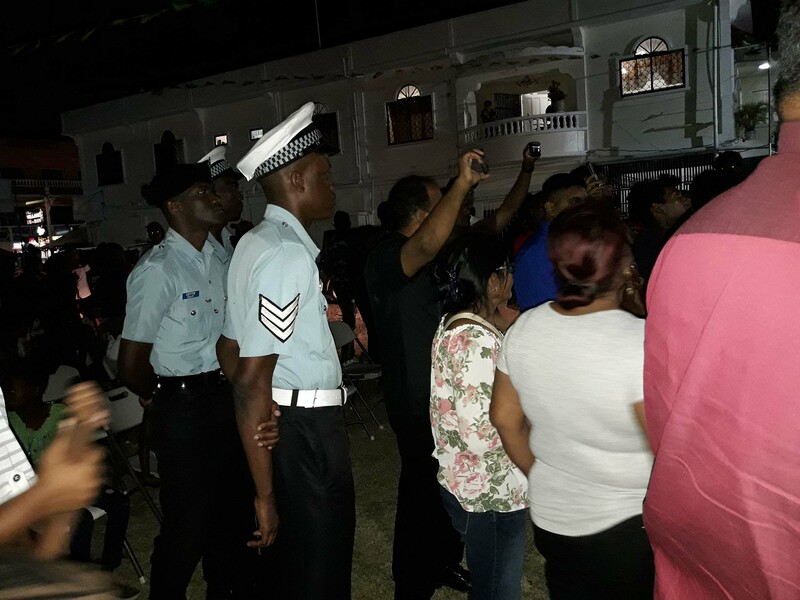 After Stabroek News’ phone call to the commander, a high ranking officer at the scene informed the persons gathered, that they would be allowed to raise the Guyana flag. 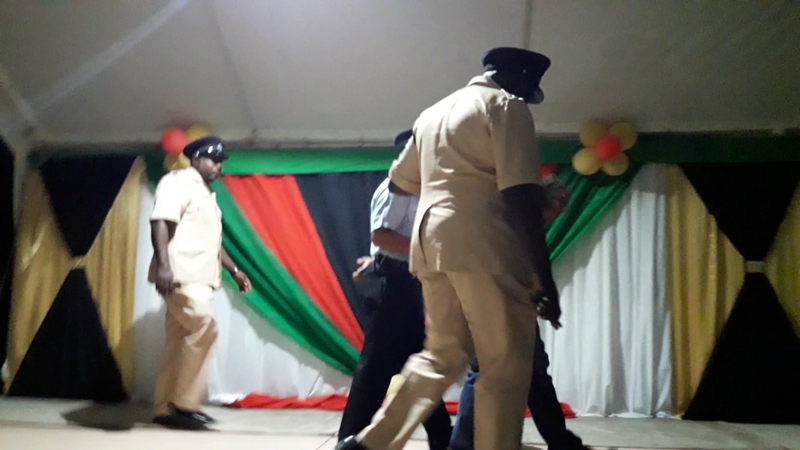 Chairperson, Ganesh Gangadin being escorted off the stage by three policemen after the Corriverton Town Council’s flag-raising ceremony was blocked. Officials then decided to go ahead with the planned programme. The national pledge was said, which followed prayers. However, when the chairperson, Ganesh Gangadin called on a child to recite a poem as planned on the programme, the lead inspector began to advance towards the stage and he said they were not allowed to do anything else. After about five minutes, Gangadin asked for the mayor to address the people of his town and then the flag would be raised. 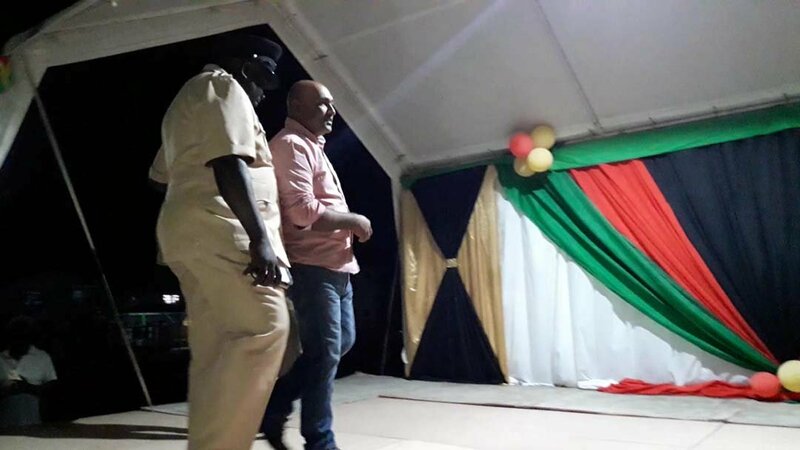 The police denied this and moved Gangadin from the stage. The crowd then erupted in screams declaring that they would all head to the station in support of Gangadin. The police then told them they could raise the flag. 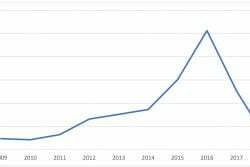 However, at this point the gathering was incensed at the interference with the programme and decided against this. Residents removing the flagpole after the Town Council’s flag raising ceremony had been blocked. Members of the public gathered around the flagpole where the Mayor and guest speaker, Anamayah spoke. Jaichand said “Today we have been denied this democracy, the Mayor of the town was denied to say a word, my councillor almost got locked up had it not been for good sense prevail”. 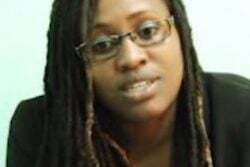 Anamayah called for the people of Guyana to pay attention to what is happening, stressing that their freedom is slowly being taken away. “You have to stand firm, you cannot allow these dictators to run over your rights”, he said. A large number of children, dancers, singers and other persons were present to take part in the cultural programme but were denied the right too by the lawmen gathered.